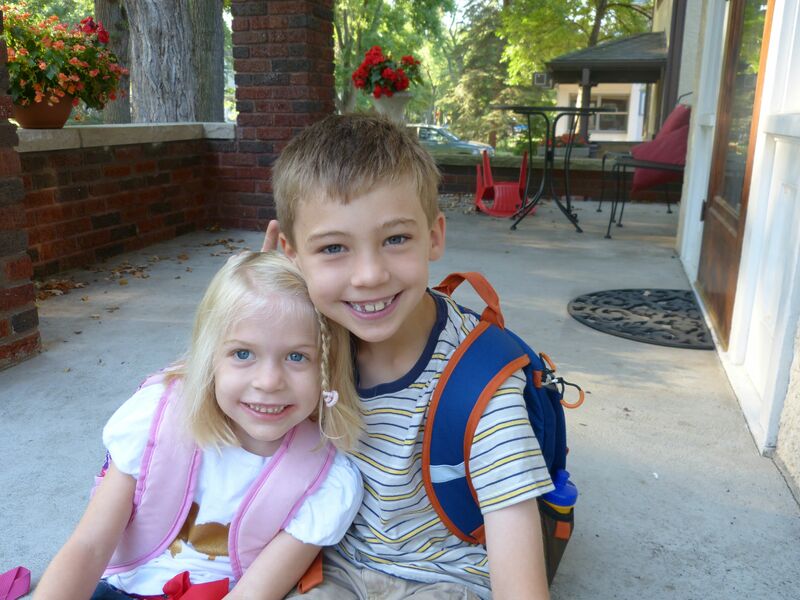 Big brother Max next to his sister Sophia, a new kindergartener today. Today was an emotional day. 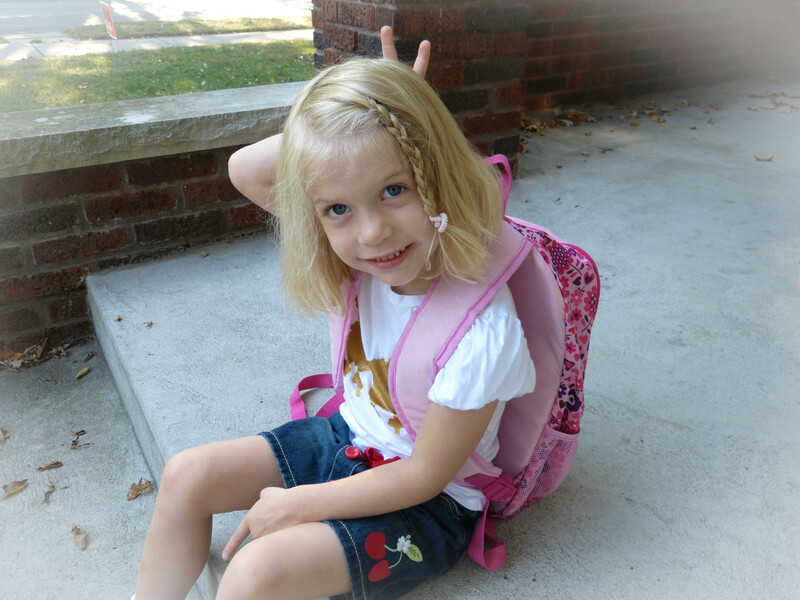 One that every American mother envisions in her head on the day her child is born: My daughter’s first day of kindergarten. Like most middle-class American mothers, I spent the last five years grooming my child for this very day. My daughter received regular visits and vaccinations at a trusted pediatrician. She thrived on a healthy, balanced diet with plenty of fresh fruits and vegetables. She participated in early childhood education through a variety of fantastic preschools and learning centers. She met friends, learned her ABC’s, learned to dance, to read, to smile and to be free. And today, all those years of grooming and taking care of her paid off. Sophia successfully, jubilantly entered her classroom, ready and eager to learn. My daughter Sophia getting ready to leave for her first day of kindergarten. For many American mothers, reaching a child’s fifth year of life and experiencing the quintessinal milestone of entering kindergarten is a highly anticipated and exciting event. It is expected and often taken for granted. Many American mothers do not know that over 7 million children around the world will never ever have the opportunity and the luxury of reaching this critical milestone of life. The world has made dramatic progress in saving the lives of children from preventable diseases such as pneumonia, diarrhea and polio when focused, steady commitment has been backed by sufficient funds. Over the last 50 years alone, child mortality from preventable “killer” deaths have been reduced by 70 percent worldwide, an astounding success. However, the fact that over 7 million children worldwide still die from easily preventable deaths is unacceptable. The poorest children on the planet still do not have access to life-saving services such as clean drinking water, vaccines, antibiotics, and sanitary birth conditions. In the case of vaccines alone, one in five children in developing countries do not have access to the vaccines they need to survive. What is even more tragic is the fact that over a third of all childhood deaths under age five are due to pneumonia and diarrhea, two diseases we have affordable and effective vaccines for yet currently do not reach the children who need them most. Campaigns like the UN Foundation’s Shot@Life is working endlessly to solve this inequity. Malaria, another killer disease that brings endless suffering and dying across many poor regions of the world is also being attacked by the distribution of hundreds of millions of insecticide-treated bed nets and other relatively low-cost measures. Malaria, which accounts for 9% of all deaths in children under age five, has been cut in half in over 11 African countries alone. We have made much progress over the years but not enough. No child should die from a preventable death. Every child should have the opportunity to reach their fifth birthday and join the millions of children around the world in the start of school. An unknown child in the developing world. Will she survive and make it to kindergarten? What really hit close to home to me today, on my daughter’s first day of kindergarten was this reality: The number of children dying every year from preventable diseases in developing countries is nearly equivalent to half the children entering kindergarten in the U.S. This is a complete tragedy that only we have the power to solve. Until we come together and start caring about the fifth child, nothing will change. Now is the time. 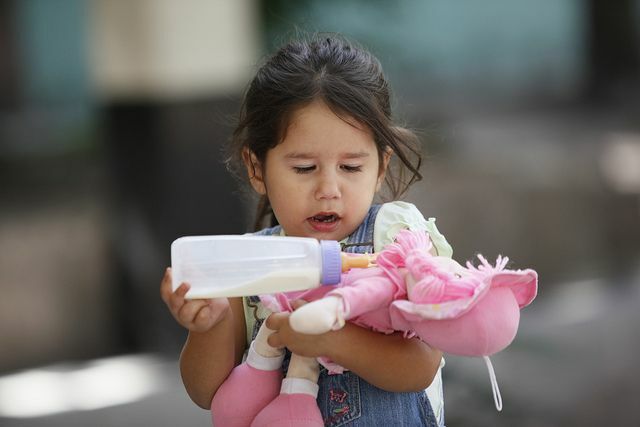 Speak out to your Members of Congress about Child Survival. Write a blog post. Share this post. Spread the word and save a child’s life. Let’s give all the world’s children the opportunity to reach the milestone my daughter reached today. This was a awesome post. It saddens me to know that some kids around the world may not see 5 years old. Some may not even see ages younger than that. I’m 28 and fairly healthy and whether it’s doing something in the medical field or helping nuns at a daycare center with small children I think we all ought to do a little something at least once in our lives for those who depend on us the most. That of course being the children. Thanks for your comment! I wholeheartedly agree. I realized that I had to give back, there was no other way. Small steps mean a lot and if we all did it, the larger effect would be huge! Thanks for commenting and reading my post! How do we set about redressing the balance, Nicole? This world is a wealthy place. Why is the wealth divided up so unfairly? I admire you for trying to effect change. Your little ones are beautiful. Seconded, in whole. I wish I knew what else to say. Wow. “The number of children dying every year from preventable diseases in developing countries is nearly equivalent to half the children entering kindergarten in the U.S.” What a kick in the stomach. That statistic is hard to comprehend. This all goes back to our conversations of how lucky we are in so many ways to live in a developed country. But you are absolutely right, we should feel obligated to do whatever we can to, quite literally, “share the wealth.” Thanks for writing this, Nicole. Also, have I mentioned that your children are adorable? 😉 Wish Sophia a happy first day of kindergarten for me! A post with a huge heart for others who have less. I grew up in a place where food is a luxury , and medicines even more. I was busy this week with school as well. My son is now in first grade. America is so lucky that despite of the so called economic crisis, kids can go to school till high school for free. If your kid gets sick the government has Medicaid and other assistance for those who can’t afford and any E.R. will treat you regardless if your have money or not. In a third world country, if you don’t have the money, prayers and miracles is all of you. Beautiful post my friend. Best wishes to your family! Thank you so much! It is really nice to get your perspective coming from the Philippines. We have so much here, I just wished others understood it and helped the rest of the world out. 🙂 Thanks for your comment. Island traveler just took the words out of my mouth! Sad facts but the reality of life in poor countries. Powerful. It is sad that these essential facts are unknown by so many Americans. We CAN “EASILY” change this. As you note, our defense spending is so large. It includes spending on weapon systems that even the Pentagon itself does not want. We need to move some of that money into development work. When more children have their fifth birthday, it means their parents will have fewer children. Because the birth rate does not drop till the infant mortality rate drops. Thank you for speaking up, and for being aware of the tragedy of children just like ours, dying for lack of a vaccination – dying from diarrhea. Thank you so much Bob for such a thought provoking comment. It makes me so sad and guilty that the world is like this. All we can do is keep trying, keep fighting and using our voice, to change it and help the millions of voiceless others. Thanks again for commenting.